erniemcpeck - Adventures in Switzerland: Expats Unite! 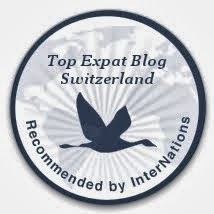 I wrote a while back about the good people at Geneva Family Diaries taking an interest in my experiences since I moved to Switzerland (see Expat Dads Who Blog - Part I, Part II and Part III), and my blog was also mentioned during a World Radio Switzerland segment about expats who blog (see World Radio Switzerland). But I'm not only interested in sharing my own story. I also like to find out how others have coped with becoming an expat, how they fared in moving to another country and what they did to overcome any obstacles. As someone who likes to travel, other peoples' stories about their new countries can be a great way to get tips on places to visit. It's for this reason that I am a member of sites like Expat Blog and the English Forum. While both these sites are great sources of information, I recently came across another site that is more of a global community for expats from all over the world, where people can share their experiences and organize social gatherings, among many other functions. They have excellent, informative country (and city) guides that provide a wealth of information, covering everything from settling in your new country, driving rules, what to do to find a job and life in general. As well as this, they have forums that cover cities and countries, and discussion groups to provide social interaction on an unlimited range of topics. I only signed up to the site in August this year, but I'm already enjoying interaction with my fellow expats. I would recommend any other expats, wherever you may be, to have a look at the InterNations website and see if it is something that would interest you, even if only to serve as a forum for football banter!